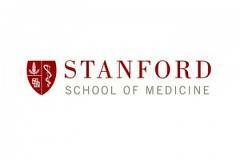 Stanford University School of Medicine is the medical school of Stanford University. 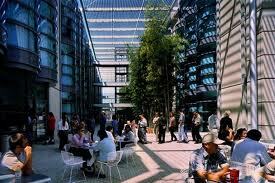 It is located at Stanford University Medical Center in Stanford, California. It is the successor to the Medical College of the Pacific, founded in San Francisco in 1858 and later named Cooper Medical College. Due to this descent it ranks as the oldest medical school in the Western United States. The medical school moved to the Stanford campus near Palo Alto, California in 1959. 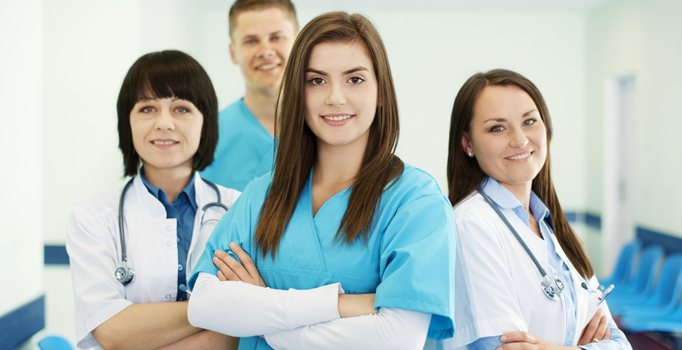 Clinical rotations occur at several hospital sites. In addition to the Stanford University Medical Center (Stanford Hospital and Clinics) and Lucile Packard Children's Hospital, Stanford has formal affiliations with Kaiser Permanente, Santa Clara Valley Medical Center and the Palo Alto Veterans Administration. Stanford medical students also manage two free clinics: Arbor Free Clinic in Menlo Park and Pacific Free Clinic in San Jose. Stanford is a cutting-edge center for translational and biomedical research (both basic science and clinical) and emphasizes medical innovation, novel methods, discoveries, and interventions in its integrated curriculum. The School of Medicine's mission is to be a premier research-intensive medical school that improves health through leadership, collaborative discoveries, and innovations in patient care, education, and research. In the 2013 U.S. News &amp; World Report rankings, Stanford was ranked 4th in the nation for research and 63rd for primary care. Admissions to Stanford is highly competitive. The acceptance rate is the second lowest in the country at 2.6% (only the Mayo Medical School is lower, with an acceptance rate of 2.5%). In 2008, 6,567 people applied and 463 were interviewed for 86 spots. Matriculates had an average GPA of 3.76 and median MCAT score of 35. Additionally, Stanford University Medical Center (the medical school's major teaching affiliate) is ranked 17th out of 4,825 hospitals evaluated, making it the second highest ranked hospital in the San Francisco Bay Area, according to U.S. News' Best Hospitals 2011-2012. Along with the School of Humanities and Science, the Stanford School of Medicine also runs the Biosciences Ph.D. Program which was ranked 1st in 2009 among graduate programs in the Biological Sciences by the US News and World Report; for the incoming class in 2009, the program had an 11% acceptance rate.In specialties, according to U.S. News for 2011, Stanford is #1 in genetics, genomics, and bioinformatics; #2 in biochemistry, biophysics, and structural biology, immunology, cell biology, molecular biology and neuroscience, #3 in infectious disease, and microbiology. In 1855, Illinois physician Elias Samuel Cooper moved to San Francisco in the wake of the California Gold Rush. Cooper established the Medical College of the Pacific, the first medical school on the West Coast, in 1858, on Mission Street near 3rd Street in San Francisco. The school underwent many changes until Cooper's nephew, Levi Cooper Lane, established a new campus at the intersection of Webster and Sacramento Streets in 1882; at that time, the school was christened Cooper Medical College. Lane also built a hospital and a nursing school (forerunner of the Stanford School of Nursing) and made provision for the creation of Lane Medical Library. In 1908, Stanford University adopted the Cooper Medical College as its affiliated medical institution, called the Stanford Medical Department. The school expanded and built up a reputation for excellence and providing cutting edge clinical care. In the 1950s, the Stanford Board of Trustees decided to move the school to the Stanford main campus near Palo Alto. The move was completed in 1959. In the 1980s the Medical Center launched a major expansion program. A new hospital was added in 1989 with 20 new operating rooms, state of the art intensive care and inpatient units, and other technological additions. The Lucile Packard Children's Hospital was completed in 1991, adding even more diversity to the Center. The recently completed Clark Center (Bio-X Program) houses interdisciplinary research endeavors and serves to reinforce Stanford's commitment to providing the best possible patient care through innovation. The focus of the program is to combine bioengineering, chemical engineering, physics, and entrepreneurship with medical research and clinical education to pioneer the future of medicine through translating discoveries. In the early years of the 21st century Stanford School of Medicine underwent rapid construction to further expand teaching and clinical opportunities. The Li Ka Shing Center for Learning and Knowledge opened in 2010; it serves as the gateway to the School of Medicine as well as providing a new model of medical education by combining biomedical research with clinical education and information technology. The Lorry I. Lokey Stem Cell Research Building also opened in 2010; it is the largest stem cell and regenerative medicine facility in North America. The Stem Cell Research Building is the first of the planned Stanford Institutes of Medicine. In addition to research facilities it houses offices for faculty from the Stanford Cancer Center and hotel space offices for visiting researchers.Furthermore, the Stanford University Medical Center is undergoing a renewal and expansion project which will rebuild Stanford Hospital &amp; Clinics and the Emergency Department, modernize and expand Lucile Packard Children's Hospital, renovate the School of Medicine facilities to accommodate modern technology, and renovate Hoover Pavilion, the original Palo Alto Hospital, to accommodate community physicians. Looking forward, Stanford looks to create an entirely new model of medical education, one that will enhance the university's ability to act as a transformational agent in health care and biomedical research. This unique approach embraces cross-disciplinary teaching modalities, breakthrough technologies, and innovative ways to advance training in both clinical skills and scientific investigation throughout the medical school curriculum. In addition, Stanford aims to deepen public understanding of academic medicine by demonstrating how discoveries made in laboratories and clinics lead to profound improvements in human health.